Imagine Bruce Wayne as a police blood spatter expert by day and wielding an assortment of knives to take out or rather slice up the bad guys at night. Replace the fancy bat costume with plastic wrap (used mainly to tie up victims and eliminate traces of DNA). And oh yes, most importantly, Dexter contrary to Batman, not only finishes off his victims, but enjoys doing so; it has become a ritual that soothes him the same way yoga or beer would calm us ordinary folks. While Batman works rather quite closely with the authorities to catch the bad guys, Dexter operates on a completely different mode. Dexter follows a specific code supposedly established by his adoptive father Harry (who incidentally knew about the dark side of this strange boy) and wanted to find a way of channeling this dark energy for “good” purposes. 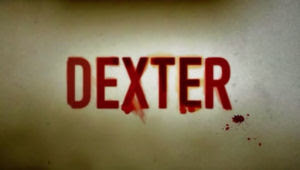 Hence, Dexter, a serial killer by nature, specializes in killing those who deserve to be killed, which turns him effectively into a vigilante. Apart from the pleasure he derives from killing - a main staple, drive and incentive for serial killers - Dexter wants to ensure that justice is served. And the problem of the law is that it has its own fair share of cracks and holes; many a criminal can slip and slide through them given a good lawyer, defense, influence or money, for instance. To make sure that there is swift punishment and that the atrocities stop immediately - before more harm is done by these heartless and, more importantly, loose criminals - this cold-blooded serial killer takes justice into his own blood-stained hands. These ideas may ring like Old Testament philosophy, the “eye for an eye” type of justice (except that it contains little personal motive apart from an abstract love for justice and a hatred of injustice on Dexter's part). The fact that the people Dexter kills are, for the most part at least, despicable individuals seems to make the killing acceptable. It is, unlike other serial killings, connected to an albeit twisted sense of morality. The dark hero acts in the name of unwavering and steady justice, ignoring any room for readjustment or repentance. We might ask ourselves if people change, but I agree with Dexter on this issue, more often than not, they do not. Yet there is also another problem at issue here. Dexter feels privileged about overstepping the boundaries of law. Sure, it is the Machiavellian view of means justifying the end, with Dexter leading the path to a more peaceful and just society via the elimination of established threats. But there is also the feeling that somehow Dexter is beyond the law, as if he were given full immunity and a carte blanche to do as he please. Such an idea is not new. Raskolnikov, the character from Dostoevsky's famous novel Crime and Punishment had similar, but admittedly less noble, ideas about law and morality. Raskolnikov believes that as a superior individual, he is exempt from the restraints of common law. The law is made for all the ordinary folks, who need guidance and guidelines for moral behavior, but they do not necessarily nor automatically apply to him personally. Raskolnikov sees himself as a prototypical Nietzschean master, modelling himself somewhat after Napoleon, who can step out of what constitutes “regular” morality of the masses; in fact, he defines and redefines what is moral by allowing room for killing and looting if it suits his needs as the passionate elite-warrior that he claims to be. In such a way, it boils down not to a matter of justice, but of entitlements provided to the exceptional hero. So both Raskolnikov and Dexter believe to be part of an elite group of society; they simply make the rules for the rest of us (or rather they evade them for their own convenient purposes) and they live and act in tune and according to their nature and personality. In the novel, Raskolnikov tries to demonstrate his superiority by killing without a clear motive, a kind of gratuitous act; this perhaps demonstrates his own independence along with a lack of constraint from standard morality and commonly established and accepted rules. In an absurd way, he becomes - or at least sees himself as - a revolutionary of his times. In the movie Pickpocket, Bresson's modernized adaptation of Dostoevsky's novel, Michel is a petty thief who picks pockets not necessarily out of economic necessity (though given his living arrangement it must play somewhat of a role!) but because he enjoys it, and he is good at it. The fact that he escapes the law and is not caught by the police only reaffirms to himself that he is an exceptional individual. His main observation about the life of crime is that there needs to be a social balance between those who follow the rules and those who break them, i.e. criminals. This type of motivation is also expressed in the movie Lord of War (2005), which deals with an arms dealer who has far exceeded his economic needs and is immersed in wealth and riches, but still continues with this immoral profession merely because he is so good at it. All of this gives the “be yourself,” “be who you are” or simply “do what you are good at” philosophy an absurd after-taste. I must say that I personally have little sympathy for Raskolnikov and Michel his modern French off-shoot, but I cannot help falling for the charismatic Dexter. The reason might be that he combines both elements of good and evil in a dangerous but strangely satisfying cocktail. Yet there is something else at work here. We all would like to be those individuals. We would like to have the courage to break laws; part of why we do not do so is the fear of punishment, of retribution, the consequences of the full force of law. Were we as good at killing others like Dexter, or as good at picking pockets like Michel, or as good at forging checks like Frank Abagnale, then we would also engage in those activities and sneer at the authorities and the law and taunt them with the catch phrase: Catch me if you can!